ABC Family/Freeform has released a slew of promotional photos for the third episode of Shadowhunters titled “Dead Man’s Party,” which airs Tuesday, Jan. 26. 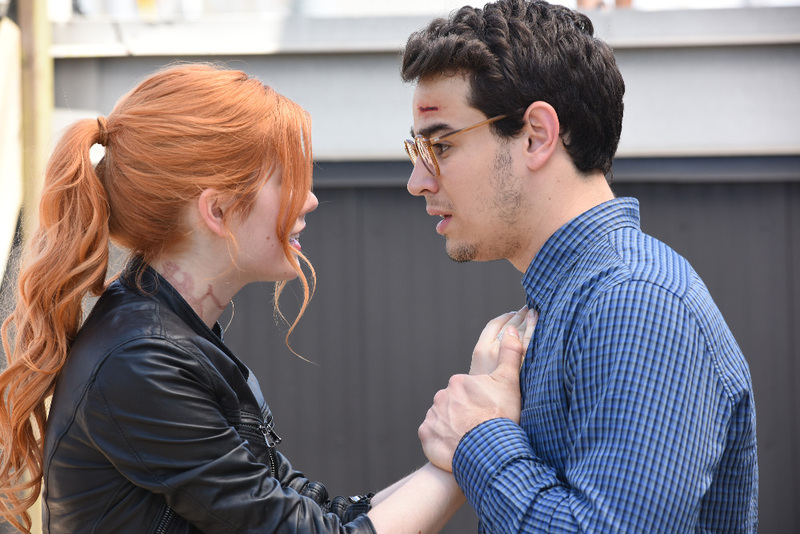 In the episode, Clary, Jace, Alec, and Isabelle go on a mission to rescue Simon from the vampires of Hotel Dumort. Check out the photos below, which include some behind the scenes shots. Shadowhunters premieres Jan. 12 at 9/8c on Freeform. Please say Simon isn’t already a vampire!! Wow, Simon and Camille. The fandom has been waiting for that forever, said no one in the history of time.